Although stroke is the fourth leading cause of death and a common cause of long-term disability in the United States, there have been few proven treatment options until recently. A new FDA-approved device developed at the UCLA Stroke Center has shown significant success in limiting disability in this patient population and may eventually impact the grim stroke-related statistics. The SOLITAIRE Flow Restoration Device is a self-expanding stent retriever designed to yield rapid flow restoration in acute cerebral ischaemia. In the recent Solitaire With the Intention for Thrombectomy (SWIFT) study, SOLITAIRE dramatically outperformed the standard mechanical treatment achieved with the Merci Retrieval System device. Compared with the Merci device, “Initial treatment with the SOLITAIRE device is associated with more frequent reperfusion, less symptomatic intracranial hemorrhage, reduced mortality, and increased good final neurologic outcome three months after stroke,” says Jeffrey L. Saver, MD, lead study author and a professor of neurology and the director of the Stroke Center at UCLA’s Geffen School of Medicine. In fact, the effectiveness of the SOLITAIRE device resulted in the premature end of the SWIFT study. Stroke patients in the study were randomly assigned to be treated with either the SOLITAIRE or the Merci device. Only 2% of SOLITAIRE-treated patients had symptoms of bleeding in the brain compared with 11% of Merci patients. And 58% of SOLITAIRE-treated patients had good mental/motor functioning at a 90-day follow-up compared with 33% of Merci patients. When used as the first treatment approach, the SOLITAIRE device opened more vessels, necessitating fewer subsequent intervention attempts with other devices or drugs. Therefore, at the suggestion of a safety monitoring committee, the trial was ended nearly a year earlier than planned due to significantly better outcomes. Jahan says the device also is easy to use. The SOLITAIRE device is inserted into a blocked artery using a thin catheter and, as it travels through the artery, compresses and traps the clot through its self-expanding, stentlike design. The clot is then removed when the device is withdrawn, reopening the blocked blood vessel. While there isn’t much doubt that the device is easy to use and superior to previous devices, the big question remains: Which patients are the best candidates for its use? “You’d think the answer would be everybody, but the truth is there are patients who haven’t gotten to us in a reasonable amount of time who will not benefit from reopening the clogged artery,” Jahan says. The SOLITAIRE device has repeatedly been called a game changer. 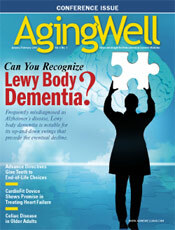 Saver told Neurology Reviews that the device will save lives. “For the first time, we have a highly effective recanalization device, similar to what the cardiologists are able to do for acute myocardial infarctions,” he said. While the device’s initial release was limited to ensure physicians were comfortable with its use, it is being manufactured and is now available.